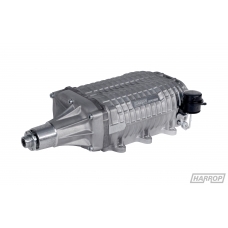 The Harrop HTV (Harrop Twin Vortices) supercharger system is a Roots-type supercharger manufactured utilising the latest Eaton TVS ™ rotating assembly. Built for a variety of engine configurations and high performance applications they deliver more power and efficiency for uncompromising high performance driving. 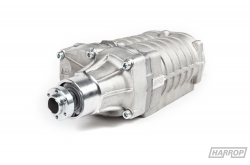 The Harrop HTV supercharger's design features patented four-lobe rotors with high-flow inlet and outlet ports that greatly enhance thermal efficiency, delivering higher volumetric capacity, and enable higher operating speeds. 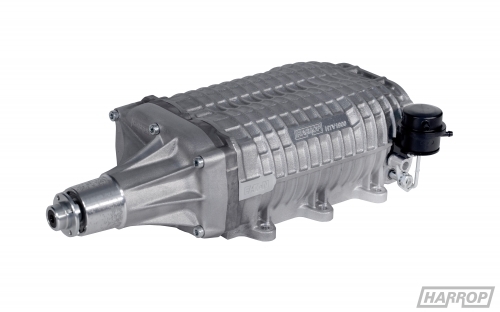 The HTV supercharger is capable of running with a high efficiency across a very wide operating range. The four-lobe rotors feature 160-degree twists, the higher helix angle of the rotors coupled with redesigned inlet and outlet ports, improve the HTV's air-handling characteristics without increasing the overall size of the unit. 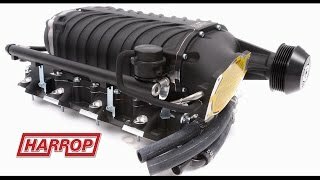 The new Harrop HTV sets a new standard of supercharger performance and reaffirms Harrop and Eaton's leadership in the performance automotive market.